Amazing. With too many features to list this home will check off all the boxes on your wish list and more! 15 Briarwood Way is stunning and designed with distinction! 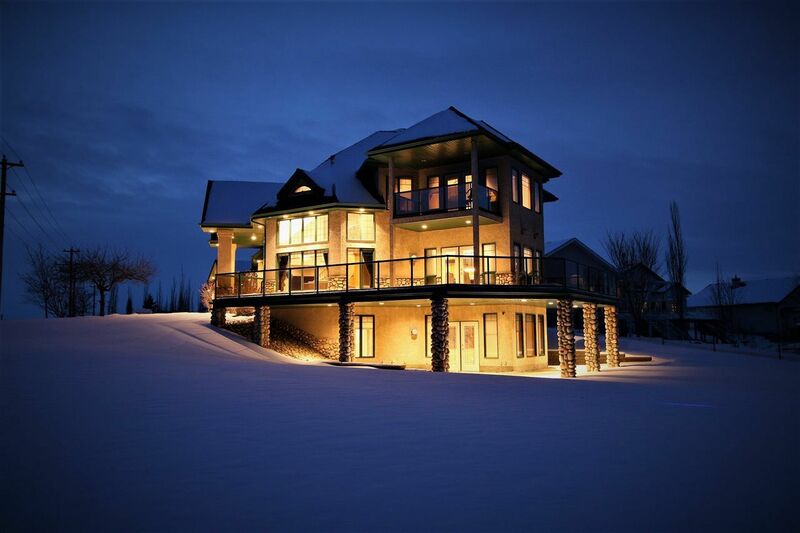 Backing the 5th hole of the Stony Plain Golf Course with over 5500 sq ft of total luxury living space. The main floor features soaring ceilings, huge south facing windows, 3 sided gas fireplace, dining area & massive kitchen with 8 appliances! The custom curved staircase leads to the 2nd floor and French doors to your master retreat. Beauty awaits you in the massive 5pc en-suite with air jet tub, spacious sitting area & private balcony where you’ll frame the view of the golf course & park. The f/f walk-out basement features a wet-bar & gas fireplace. 4 bedrooms total, main floor den/office, AC, in-floor heat in garage & basement, electric blinds, built-in sound & much more! The 8 stall garage is gorgeous & features a drive-through overhead door, bathroom, & covered RV parking. See for yourself!